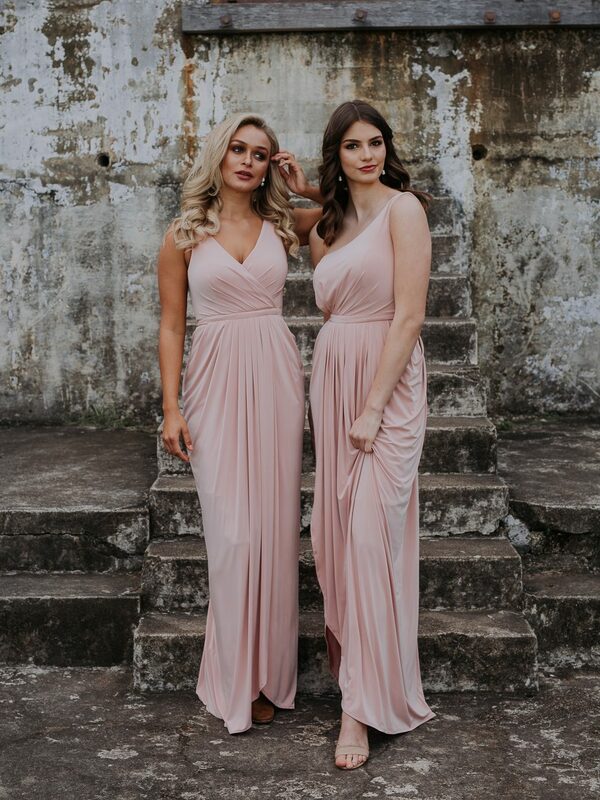 The one-shoulder Eloise Bridesmaids Dress is a glamorous choice for your next evening and formal event, with the leg split and one shoulder design. The Eloise Bridesmaids Dress features a tulip design skirt with a sultry leg split. Model is wearing size 8 (AUS) and is 5’8″ (174cm) tall, has a 84cm bust, 89cm hips and a 65cm waist.